This weekend at the D23 Expo in Anaheim, CA, Funko will be releasing 3 fantastic Marvel vinyl figure exclusives! This is Funko’s first time at D23, and these will definitely be some of the most sought after exclusives of the convention. 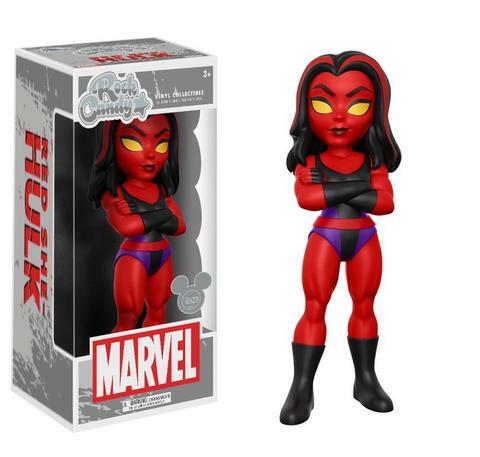 Check out these D23 Expo 2017 Marvel exclusives: Guardians of the Galaxy Gamora and Drax Dorbz 2 Pack, Guardians of the Galaxy Rocket Raccoon and Peter Quill Dorbz 2 Pack, and a Red She-Hulk Rock Candy Vinyl Figure. Both of these sets can be purchased exclusively at the D23 Expo Disney Store.